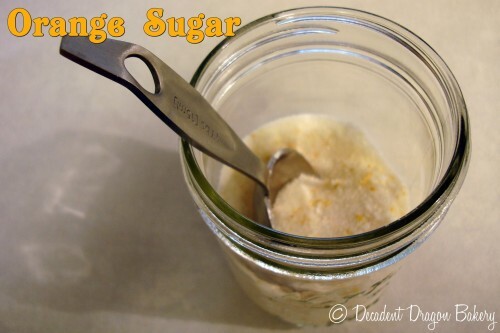 It only takes about 30 minutes to make the sugar, which lasts for weeks if stored in a cool, dry place. All you need to make orange sugar is a few fresh oranges, sugar, a zester and an oven. It’s very easy! And this recipe can easily be doubled to make as much as you’d like. When packaged in mason jars, it makes a sweet gift. 1. Zest the two oranges and reserve the zest. Cut the oranges in half and juice them. 2. Pour 1 cup of sugar into a medium bowl. Add fresh orange zest. Add 1/4 cup orange juice. Stir to combine and break up wet areas. 3. 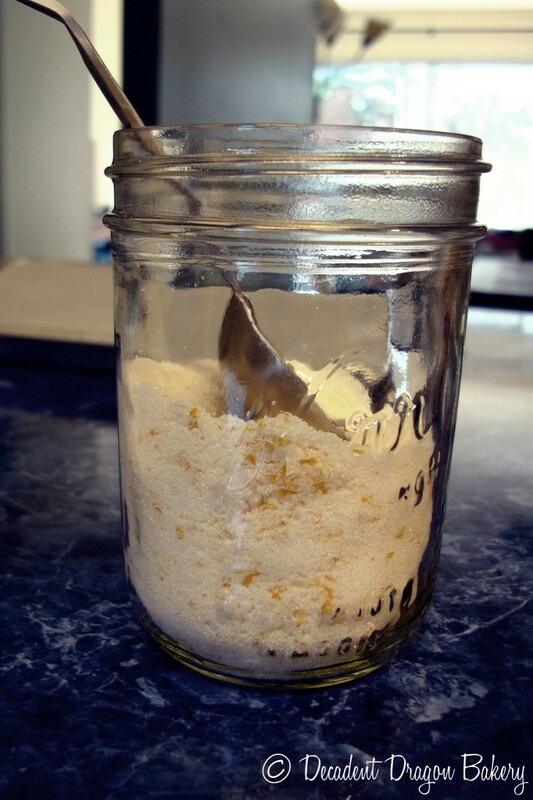 Spread the orange sugar mixture onto a baking pan evenly. Bake at 150F for 10 minutes. 4. Stir pan to redistribute sugar and break up clumps. Bake for another 10 minutes or until sugar is dry. 5. Remove from pan and let cool for 15 minutes. Place in an airtight container. I think they’re perfect with a cup of tea. I’ve also used this recipe for scones (check out this awesome Martha Stewart Scone recipe). Do you use flavored sugars? Being a baker is dangerous. I no longer go out to eat dessert. I literally have everything on hand to make any dessert 24/7. And when I’m testing recipes, most of what I make is quickly consumed by me, my husband or close family. One way to avoid overeating is to have a healthy alternative on hand. And to send all the test goodies off to my husband’s poor coworkers. 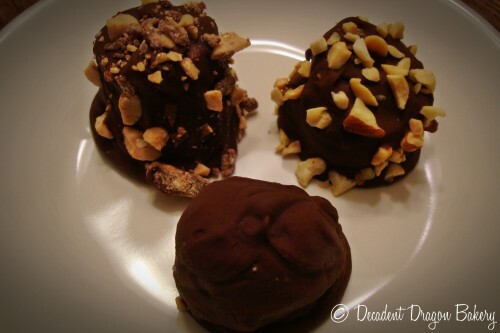 These Chocolate Banana Bonbons fit the bill. They’re incredibly creamy and have that chocolatey shell crunch. To top it off, you can add nuts, toffee, sprinkles and other toppings to the chocolate. But if you use a good quality dark chocolate, most of the sugar comes from the banana. 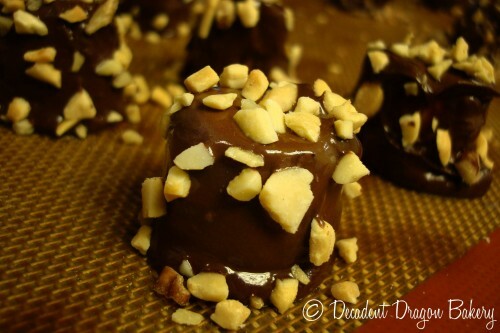 I topped some bonbons with mixed nuts. Roasted almonds would be amazing! 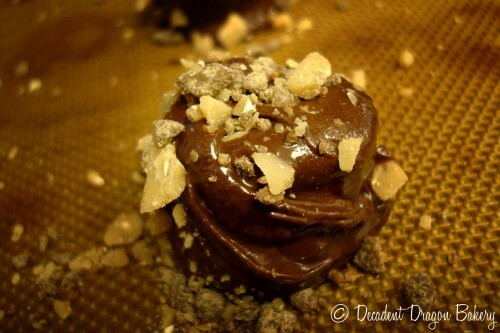 Other bonbons I topped with toffee and chocolate pieces. The key to a great chocolate banana bonbon is ripe bananas. Mine were very ripe but still had structure and were in good condition under their skins. Begin by placing your chopped chocolate and coconut oil into the bowl of a double boiler (or a glass bowl that you can set on top of a pot of water. Make sure the water does not tough the bottom of the bowl of chocolate. Heat the water on medium-low until steaming. Stir the chocolate continuously until melted. If needed, add additional coconut oil for your desired consistency. Line a baking sheet with parchment paper or a Silpat silicone pad. Make sure you have enough room to place the baking sheet in your freezer. 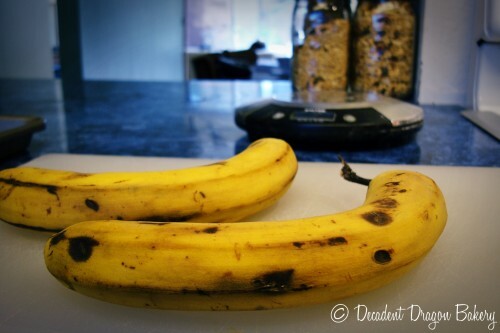 Remove the banana peels and discard. Chop your bananas into even sections, about 1 to 1.5 inches in width. 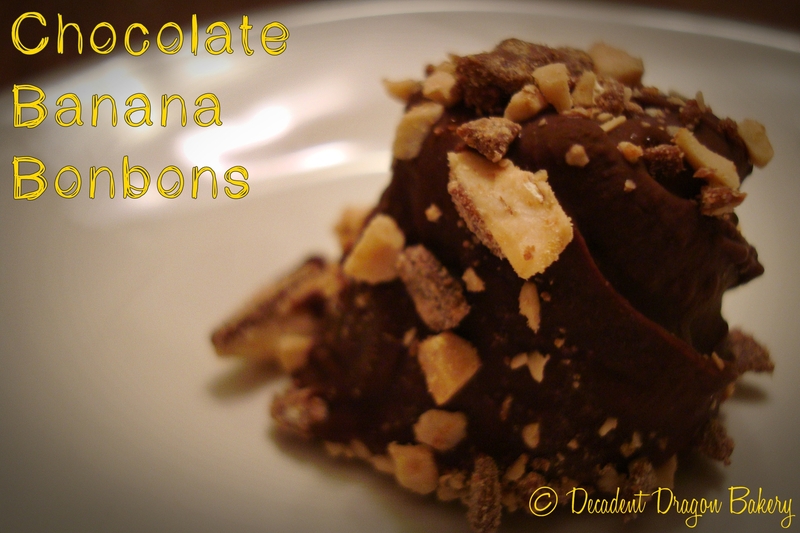 Once the chocolate is fully melted, drop a section of banana into the chocolate and coat evenly. Using a toothpick or fork, remove the banana (ensuring it remains evenly coated) and gently place on baking sheet. Repeat until you have coated the segments of 1 banana. Next, add your desired toppings. It if is taking a long while to coat each piece of banana, you may want to add your toppings sooner. Sprinkly and pat your toppings onto the cooling chocolate coating. Once all banana pieces are coated and topped, place your tray into the freezer. Let freeze for at least 1 hour. When fully set, place the bonbons into a jar or tupperware. They should last 1-2 weeks. The other thing about staying healthy is enjoying your desserts in moderation. Well, we’re still working on that one! Our two bananas’ worth of bonbons didn’t last the evening. What do you all think? Going to give these a try? If you have an alternate version, I’d love to hear from you! 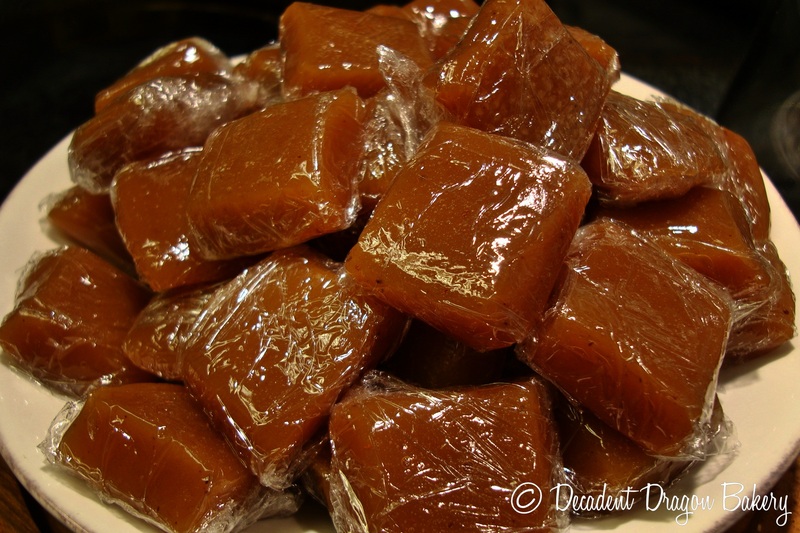 Deb from Smitten Kitchen recently posted an awesome recipe for Apple Cider Caramels. I couldn’t resist trying them for myself. They came out beautifully and I wanted to share my success with you. 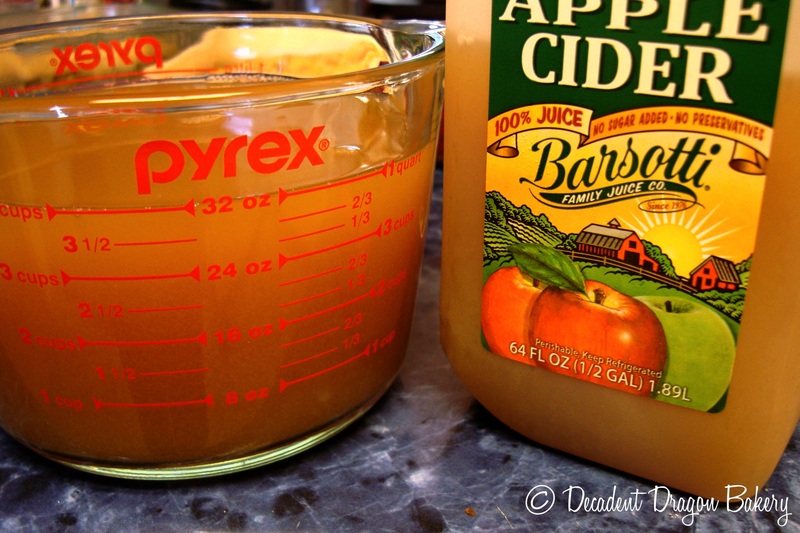 Local apple cider, freshly ground cinnamon and french sea salt [Ok, not so local...but oh, so good!]. 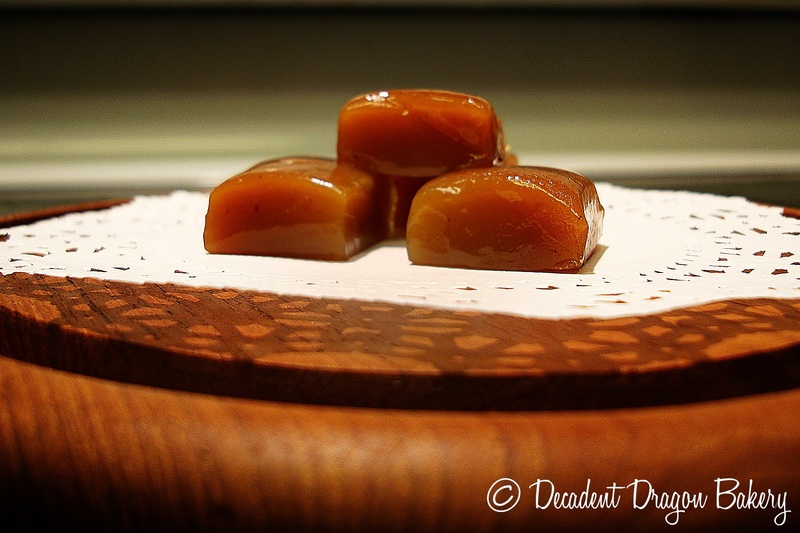 These caramels are elegant and make a lovely holiday treat or gift. Making the caramels is simple. Deb provides great instructions. I loved her tip to oil your knife while cutting the caramels. I’d recommend baking spray. Butter would probably make the caramels taste better though. Use freshly ground cinnamon if you can. Use a thermometer. It relieves you of temperature uncertainty. Instead of parchment, you can use saran wrap to wrap caramels. My caramels were super-soft outside the fridge. Keep ‘em cold to maintain shape. And lastly, Smitten Kitchen’s cookbook is out. This would make a great Christmas gift (hint, hint! ).